Google is already in the process of making automotive history with the introduction of their self driving vehicles. These “Google software driven vehicles” have already logged hundreds of thousands of miles in California – where there aren’t any laws on the books preventing the car from operating – and have already passed legislation in Nevada to be allowed to operate on the state’s freeways. But a other piece of automotive history was made today when Google’s self driving Prius got in a accident. 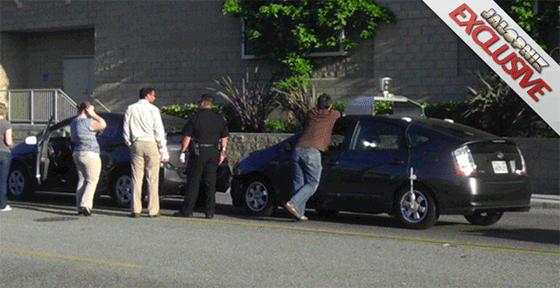 Apparently, the Google Prius slammed into the back of another Prius, which then plowed into a Honda Accord. But according to a Google spokes person, the Google Prius was actually being driven by a human being at the time, not self driving. Not sure if we can believe that one or not.